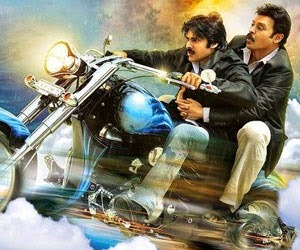 Venkatesh and Pawan Kalyan starrer ‘Gopala Gopala’ has completed its censor formalities and the film has obtained a clean ‘U’ certificate. Lot of drama happened till the evening as the censor work got delayed. According to the schedule, Gopala Gopala will have premieres on January 9th in USA. Many people have doubted that the film might not make it on January 10th, but Suresh Babu made it possible. Shriya Saran is the leading lady and Anup Rubens has composed the music. Kishore Kumar Pardasani has directed this satirical drama and Gopala Gopala is produced by Suresh Babu and Sharath Marrar under Suresh Productions and Northstar Entertainments banners.